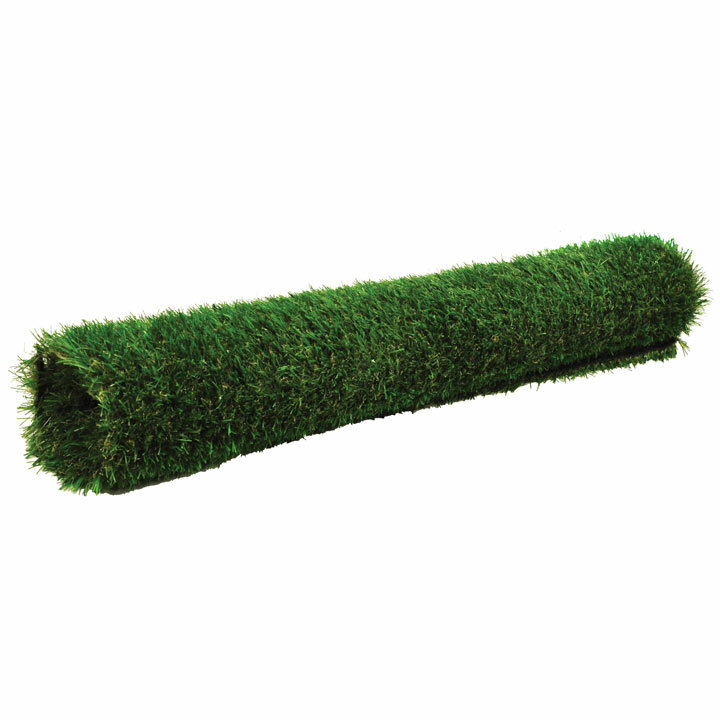 Very realistic, medium length pile, all year round artificial grass. Ideal for lawns, roof gardens, patios and all kinds of temporary uses such as exhibitions or display areas. Made from polyethylene and polypropylene with a water-resistant backing with drainage holes. Dimensions 100cm x 400cm.